A vote for Jon Tester is a vote for public lands. 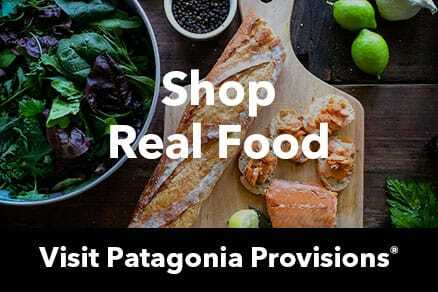 Paid for by Patagonia, Inc. patagonia.com. Not authorized by any candidate or candidate’s committee. Opposes transferring federal lands to the state. Secured $364 million in funding for construction in national parks. Co-led efforts to fully fund and reauthorize the Land and Water Conservation Fund. Worked to improve water quality issues in the Kootenai watershed. Protected the Rocky Mountain Front. Helped save the North Fork of the Flathead River from Canadian mining companies. Championed the Blackfoot Clearwater Stewardship Act, to designate 79,000 acres as part of the National Wilderness Preservation System. Montana fly fishing guide, Hilary Hutcheson reminds you that a vote for Jon Tester is a vote for public lands. 95 percent of Montanans think recreation on public lands is a priority. Outdoor recreation in Montana supports 71,000 jobs. Montana elections are won by very narrow margins. Our democracy is threatened by dismal voter turnout, but Montanans typically buck this trend. Let’s keep showing up, Montana.